After the Chinese ministry of commerce rejected the P3 alliance due to its combined market share of 47 % in Asia – Europe trade and have severe effects on competition between lines and price increase in the containers, the 2M alliances and the ocean 3 alliances were born. Even though the federal maritime commission has nodded their head to the p3, but the Chinese government has a big concern over the alliance. So it is clear that Chinese government approval is much more important over federal maritime commission. Chinese government especially raised the concern over the competition and importance of Chinese shipping lines in the business since the majority of the cargo arises from Chinese soil. Also Chinese line has fewer amount of market share in container lines. And many shipping industry experts speculate that the vessel sharing agreement will give raise to price fixing in future. Also the vessel sharing agreement increases the container pricing which in turn reduces the consumer surplus. The success of G6 alliances is due to the inclusion of Chinese firm so that it can please the Chinese government for approval. Now CMA CGM have realised it after the p3 got rejected. 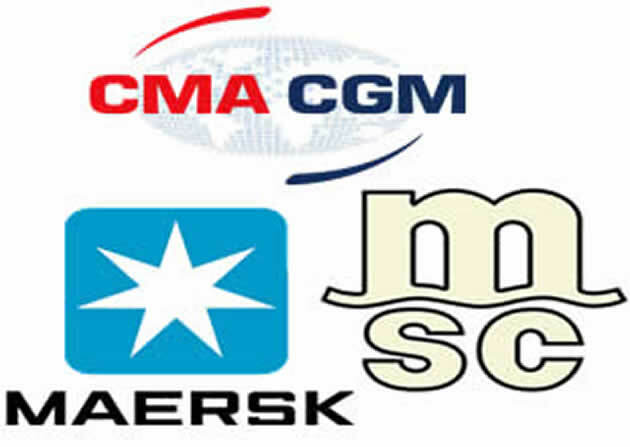 Now CMA CGM, UASC and china shipping lines formed ocean 3 alliance planned for slot swopping and vessel sharing with 129 vessels which controls market share about 20 % in Asia- Europe trade which is less than 30% mark which is set by EU and China. But however it needs the approval from USA Authorities. The 2M alliance is formed between Maersk and MSC which is the former member of P3 alliance which planned to include 185 vessels with the capacity of 2.1 million TEU. The 2M alliance has a market share about 35% which is the mark above the EU and china guideline. The Chinese government have already have expressed the concern over 2M alliance. Shipping council from China, Singapore and Hong kong have already called on commission to put 2M alliance in strict scrutiny. This clearly shows that the Chinese government will raise their voice whenever the Chinese lines are not included in the alliance. There is high chance that 2M alliance will pass through the approval since it will use the ocean 3 alliance as a tool for lobbying. Nevertheless the game theory between the various actors in the liner shipping industry is fun to watch.